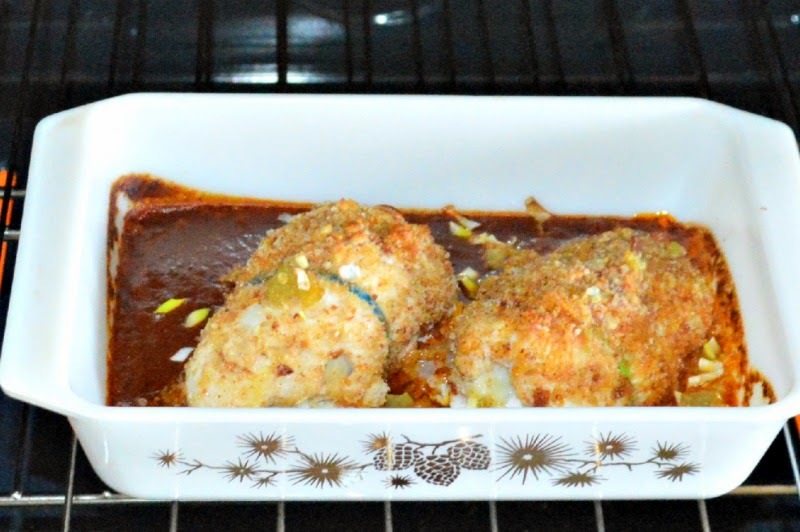 Crush together the bread crumbs, chili powder and garlic salt until you have fine crumbs. Add Parmesan cheese and blend well. Set aside. 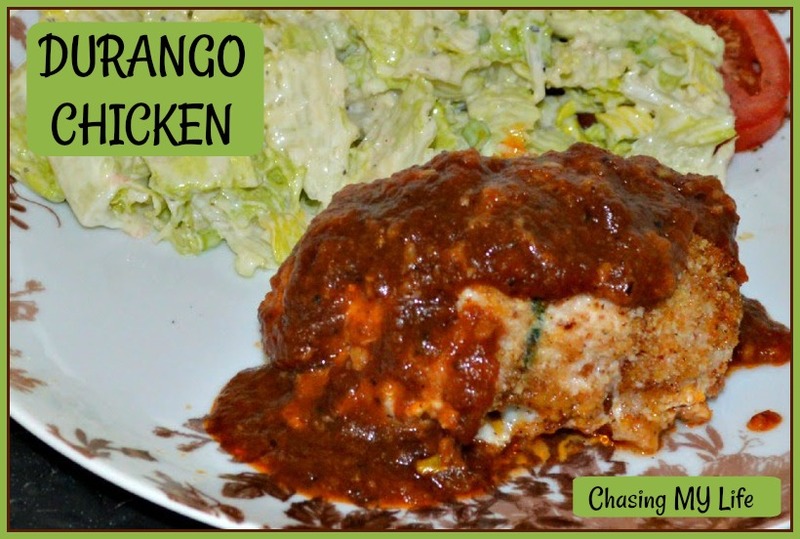 Pour sauce into bottom of baking dish. 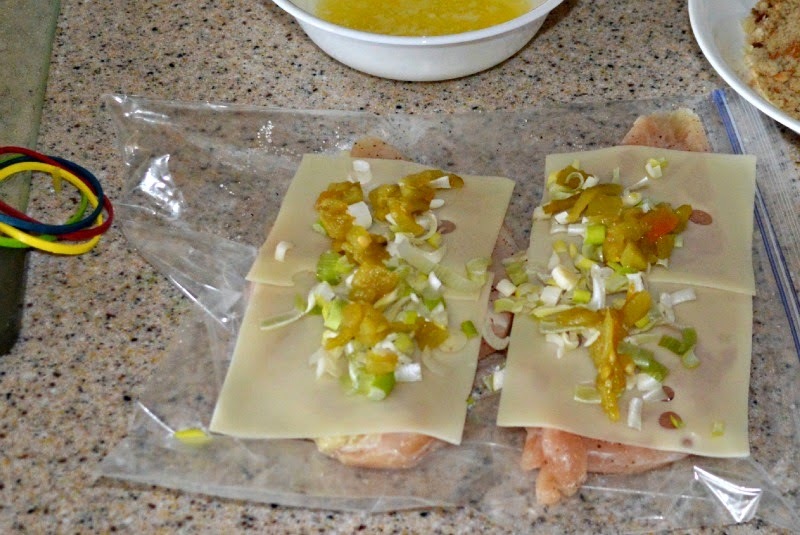 Flatten chicken breasts – I like to put them in a large ziploc bag and use a rolling pin. Add a single layer of cheese on chicken breasts. Top with green onions and green chiles. 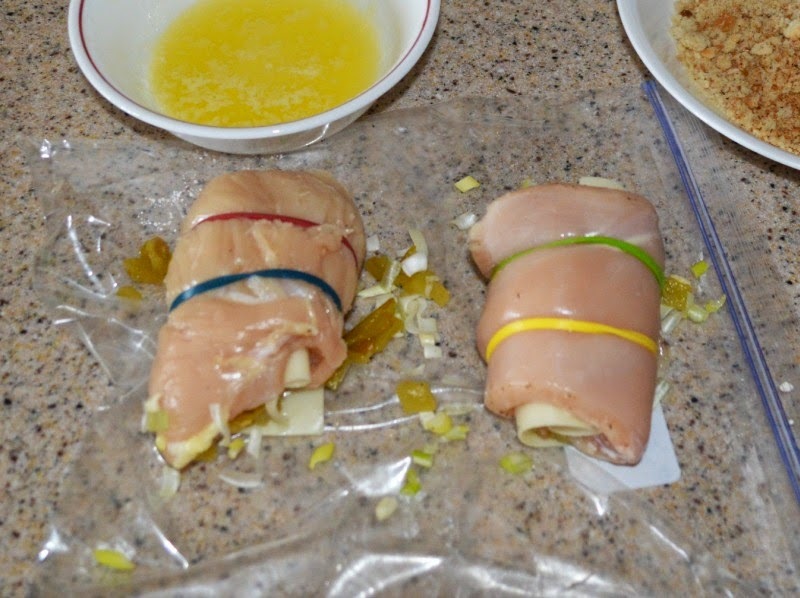 Carefully roll chicken breasts, securing with baking bands. DO NOT USE RUBBER BANDS. Roll each breast in butter and then the crumb mixture. Place on top of sauce. Bake uncovered 20-25 minutes until chicken is cooked through.